If you are now engaged, congratulations! It will now be time to begin planning your big day…how exciting! However, with so much to do, and only so little time, you may be curious as to how to best go about beginning your wedding planning. Are you preparing to plan your own nuptials? Now that you and your partner are engaged, it’s time to spread the news. So, you will certainly want to take part in an engagement photo session! By doing so, you can discover your photographer for your big day, ensure that you mesh well with one another, and be prepared for your wedding photography…in addition to receiving lovely engagement photos! The number of guests you have attending your wedding will be a determining factor of many details, such as how large of a venue you will need, and how much food will be served. So, creating your guest list should be one of the first tasks you complete. This way, you can continue on with planning other aspects of your big day. Your wedding can’t take place without a venue! Therefore, you will want to book yours well in advance. By doing so, you can then continue on with planning your theme and color scheme to complement your space, along with being able to notify your wedding vendors of where you nuptials will be taking place, so that they can also create their services to complement your space. Starting your wedding planning off right is certainly of importance! These are just a few of the first tasks that you will want to complete after getting engaged. 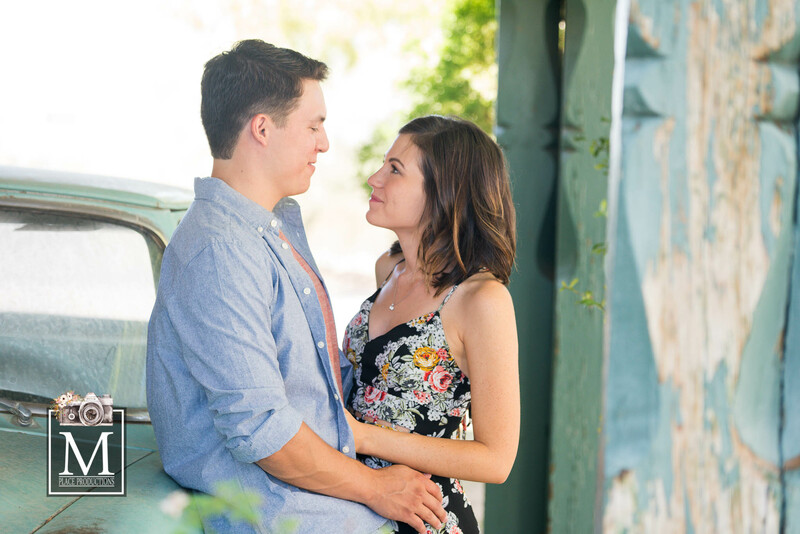 If you are ready to hire your own engagement photographer in Las Vegas, Nevada, please get in touch with us here at M Place Productions! We are honored with the opportunity to preserve memories through photography, and would be pleased to do the same for you.